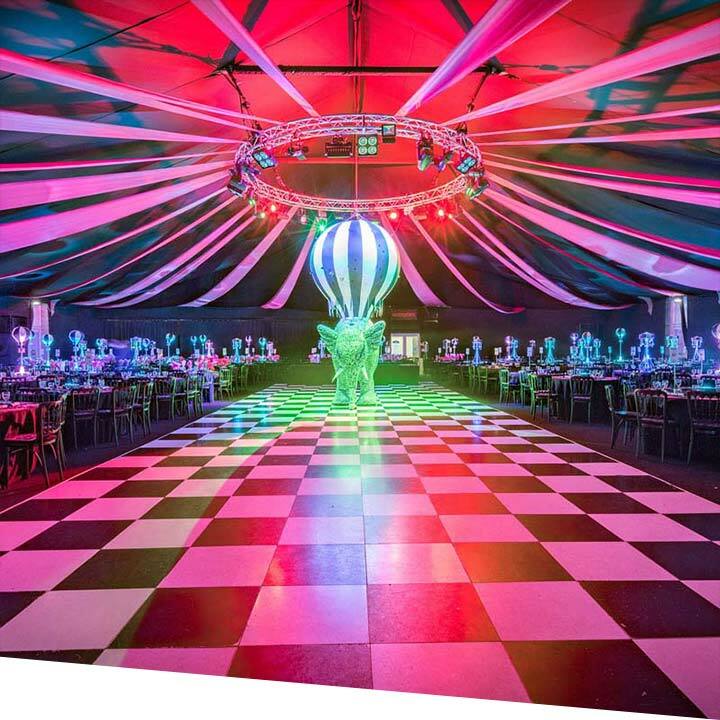 We can provide party themes that have that magical blend of fun and sophistication, with professional lighting, live entertainment and exceptional props, any ideas can be bought to life. 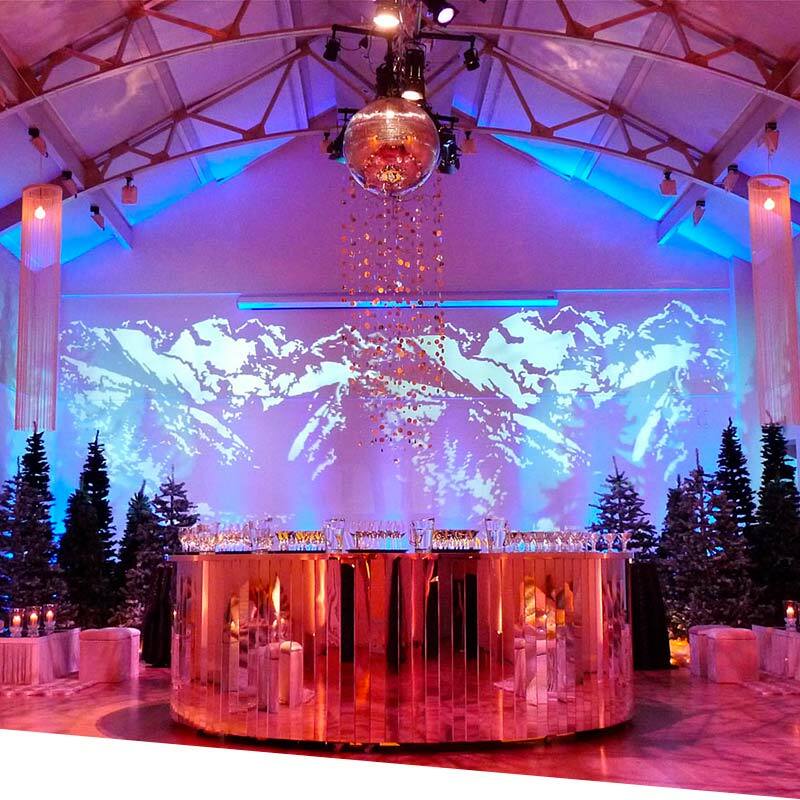 If you are looking for a sophisticated affair, Boutique at The Pavilion is the perfect party for you, with sparkling wine and a live band bringing the magic of Christmas to life. The Pavilion at the Tower of London makes a dramatic first impression. 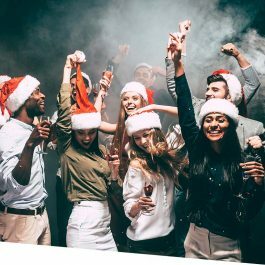 Be wowed by entering America's New York New York city, yellow cabs, hamburgers, dancing girls and live entertainment will set the scene of what will be a top party theme this Christmas. 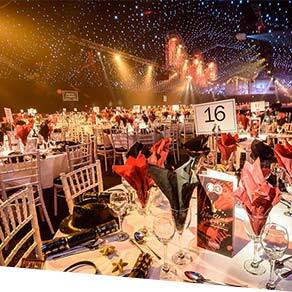 Your bespoke Christmas party theme will depend on the number of guests and budget you have to work with. 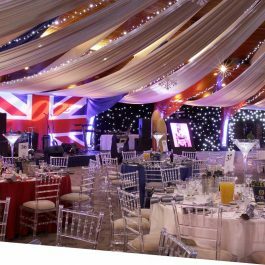 We will work with you to create a party that creates the maximum effect and realistically fulfills your requirements for this year’s office Christmas party. 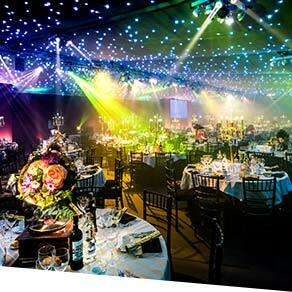 The possibilities for your event are endless, but to give you some ideas, we have provided some points to think about and some ideas for the perfect Christmas party. What sort of venue would you prefer? The location and venue are often essential to create the atmosphere you are seeking. Looking for something more than a traditional dinner dance? 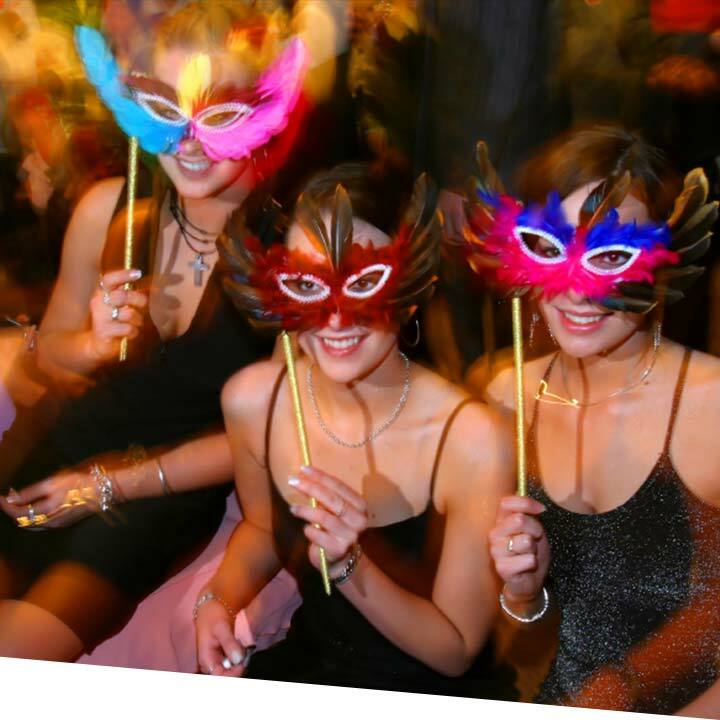 We will help create a concept for your party and theme the evening around it, using décor, entertainment, lighting, etc. Traditional: holly, ivy, mistletoe, Santa, reindeer, elves, snow queen, jack frost, winter wonderland theme, carol singers. 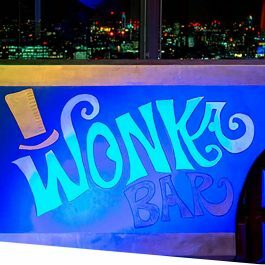 Party themes: 20's speakeasy, black and white diamond, viva Las Vegas, swinging 60's, rocking 70's, disco through the decades (mix 60's 70's 80's), Hollywood / oscars, Burlesque, circus, Alice in Wonderland. 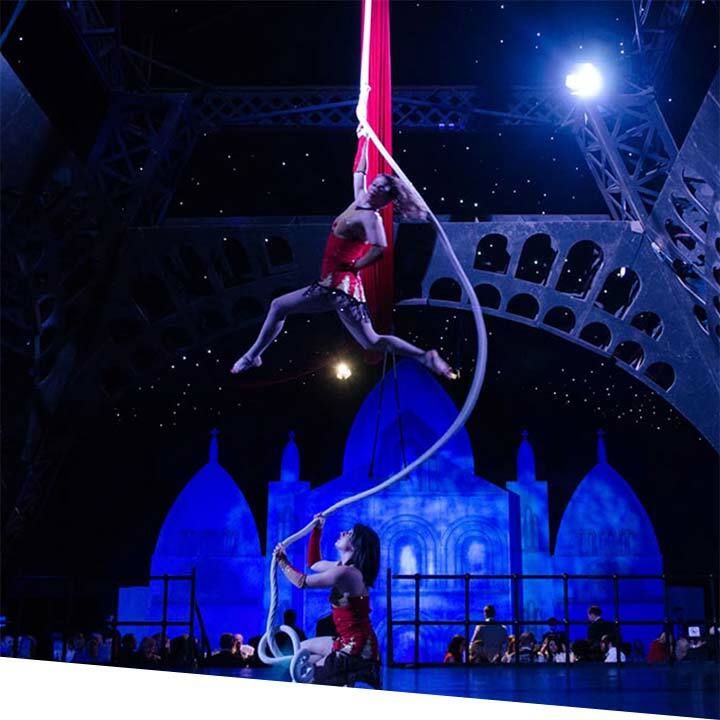 Sophisticated: red carpet entrance, string quartet, water fountains, ice sculptures, Chic Boutique, acrobats, Midnight in Manhattan. As your guests arrive, surprise them with unexpected entertainment and get the party off to a flying start with champagne or cocktails. 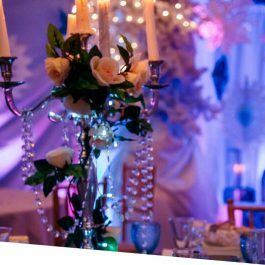 Catering: canapés, cocktail reception, champagne reception, mulled wine. Entertainment: magicians, pick pockets, walk around entertainers, string quartet, comedy bouncers, paparazzi photographers, caracturist. Food and presentation canmake the party. Think about different meal options and whether you want to provide entertainment between courses. 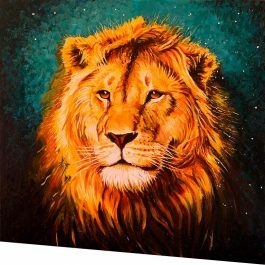 Food & drink: traditional Christmas meal, themed meal, hot or cold buffet, bowl food, wine on table, unlimited drinks packages. Table décor: themed table centres, candles, balloons, flowers, lamps, mini chocolate fountains, party novelties. Entertainment: murder mystery, singing waiters, comedy waiters, table magicians, opera singers, lookalikes, celebrities. Music: 20 piece band, opera singers, cover bands, jazz bands. Games: casino tables, video games, pub games, simulators, quizzes. Entertainment: comedy show, acrobats, circus performers, can can girls, show girls, dance lessons. 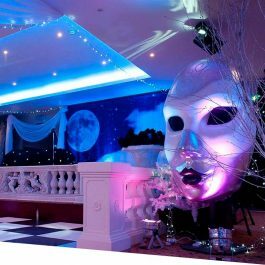 Dancing: disco and DJ, LCD dance floor, revolving two tier dance floor, dancers, specific DJ playlists. The ideas are endless and we are here to help you create the party that will be the talk of the office for months to come. 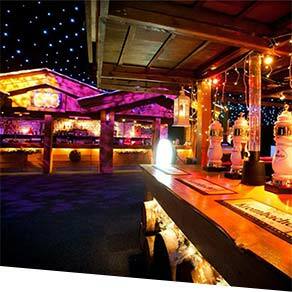 Get in touch to speak with our knowledgeable Christmas party specialists to start planning your party today.